Allianz Worldwide Care is part of the internationally renowned Allianz Group and its global insurance division is based in Dublin, Ireland. 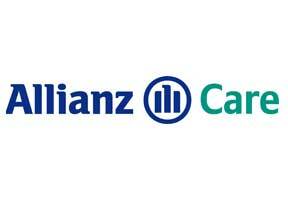 Allianz offers Thai citizens and foreign national’s detailed medical insurance solutions through its Ayudhya Allianz C.P. Life subsidiary. Ayudhya Allianz C.P. Life was established following the amalgamation of three business entities - the Bank of Ayudhya Group, Allianz and Charoen Pokphand (C.P.) and the group now has a customer base in excess of 500,000 people throughout Thailand. Allianz Thailand is capable of providing its members with medical insurance products and policies that can be tailored to suit individual policyholders or groups depending on their particular healthcare needs. One important Allianz policy that sets it apart from its competitors is its commitment to delivering unrivalled customer services. The cornerstone of this policy is their ability to process, within 48 hours; all claims applications that they receive. Regardless of where you may travel to, an Allianz customer service representative is also available to provide you with 24 hour emergency support should it be required. Having just extended my agreement to remain in Thailand for a number of years, my wife and I began exploring maternity medical coverage options and found Thailand health insurance provided us with the most comprehensive and detailed information around. Their staff gave us an invaluable insight into the pros and cons of each medical plan and we found that Ayudhya Allianz C.P. offered us an extremely flexible package. Thanks to Thailand health insurance and Allianz, we will hopefully realize our dreams of starting a family very soon. After contacting Thailand health insurance for advice on the health insurance options currently available to me and my partner, we noticed how eager Allianz were to ensure their customers were dealt with in a swift and efficient manner. A 48 hour processing time for all claims sounds too good to be true but both the Thailand health insurance and Allianz staff reassured us of this amazing customer services policy. We can’t thank the Thailand health insurance staff enough for their considered and informative advice. Additional information on Allianz Thailand medical insurance plans can be received by filling out the details section located at the top of this page. Our staff can also provide you with information on Allianz or any other Thailand health insurance provider and they can be contacted here.